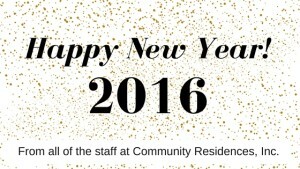 Happy New Year from Community Residences, Inc. 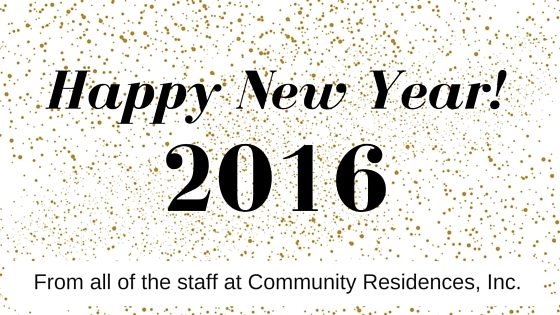 Here at CRI we would like to wish everyone a happy and healthy new year! We are so proud of the children and families that we’ve worked with throughout this year.They’ve endured and accomplished so much over the past year. We know that 2016 will be full of more trials, and tribulations, but with the great work that you do every day,we know there will be successes that make every moment worth it. We couldn’t be more honored to work alongside such passionate people. Together, we change lives; one day at a time. Thank you from the bottom of our hearts for your interest, involvement, hard work, and compassion. We look forward to seeing you in 2016!